Earlier today some of our users may have experienced problems using the catalog or a database from our Articles & Journals page. Access problems have been fixed. Please call us at 608-267-9696 or email us with any questions or further connection problems. System maintenance may affect your ability to log in to our Articles and Journals databases or search our library catalog. We are working quickly to resolve any connectivity issues today. If you experience problems using the library catalog or an online database, wait a few minutes or try again later. We will post another message when all issues are resolved. Call us at 608-267-9696 or Ask a Librarian for help. Medical Trial Technique Quarterly publishes trial practice articles for attorneys litigating medical malpractice, negligence, products liability, and personal injury cases. In each issue topic-focused articles provide legal background, elements of an action, sample complaints, examples of interrogatories, depositions and other discovery devices, voire dire questions, opening statements, direct examination questions, closing arguments, and other trial techniques. Medical Trial Technique Quarterly is edited by Attorney Fred Lane who co-authors the publications Goldstein Trial Technique and Lane & Calkins Mediation Practice Guide, which are owned by our library. Articles are contributed by practicing attorneys and subject experts. Medical Trial Technique Quarterly is indexed by LegalTrac. For over a decade the county libraries we manage in Madison and Milwaukee have been known as the Dane County Legal Resource Center (DCLRC) and Milwaukee Legal Resource Center (MLRC). Today we announce new names for these libraries: the Dane County Law Library (DCLL) and the Milwaukee County Law Library (MCLL). These new names better reflect the kind of services we offer at these branches. "The name changes take us back to our roots as law librarians. Our charge is to select, maintain and preserve collections of legal materials and to provide access to legal information and resources that may be helpful to anyone interested in learning more about the law." One reason for the name change is to distinguish law library services from legal assistance clinics, including the Family Court Clinic and Small Claims Assistance Program in the Dane County Courthouse and the Milwaukee Justice Center in the Milwaukee County Courthouse. Our branch libraries play a vital role in serving self-represented users, attorneys, court staff, and judges in their respective counties. Both branch locations will continue to offer the same high level of research assistance and resources to their users. Drop by the library to guess how many coffee beans are in the French press. The top four guesses will get a prize. Game starts Monday, April 13 at 8 a.m. and ends Friday, April 17 at 5 p.m.
On Tuesday, April 14 from 12 - 1 p.m., attend an advanced WestlawNext class in our Training Room. Visit our Classes page for more details. In recognition of National Library Week, Thomson Reuters will provide lunch for attendees (this session only). Class size is limited to 8 and there is no registration fee. Register now. On Wednesday, April 15, from 11:30 a.m. - 1:30 p.m., two of our reference librarians will staff a booth on MLK Jr. Blvd, just outside the library's doors, to distribute a limited edition bookmark and free coffee. Visitors are encouraged to come into the library for a brief tour and to enter to win a prize (see Perk Up Your Research! above for more details). Wind down the week by attending a webinar from 12 - 1 p.m. on Friday April 17. Visit our Classes page for more details or register now. 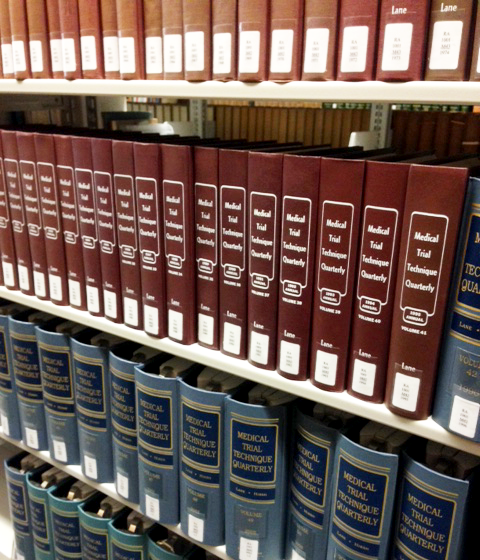 The U.S. government publishes an enormous amount of primary law and other publications each year. The FDSys website provides free access to official government publications from all branches of government. Among those find US Budget documents; Congressional bills, hearings and calendars; GAO reports; and the US Code. Learn more about how to use this website in an upcoming webinar, Tips and Tricks in GPO's Federal Digital System (FDSys). Tuesday, April 14, 1-2 p.m. Central time.